19‘70s: it began on the coasts; ‘90s: it took a back seat to gangsta rap; now: hip-hop dance is back. Through popular television shows like America’s Best Dance Crew and feature films such as Step Up and Stomp the Yard, the hip-hop dance revolution has re-energized the dance world. Movmnt takes you to the heart of the battle with a stunning fashion editorial captured by fine art photographer Koury Angelo. Featuring performers and choreographers from Monsters of Hip-Hop, Movmnt tells the story of hip-hop dancers in their fight to steal hip-hop back from the music world. Created in 2002, Monsters of Hip Hop uses some of the best choreographers in the business to provide dancers with the education, experience, and performance opportunities to immerse themselves into the world of hip-hop at nationwide conventions. Movmnt talks with young choreographer Tony Testa about his inspiration, contributions, and successes in the world of hip-hop dance. Movmnt takes the opportunity to announce Keep it Real, a non profit platform designed to support organizations across the country and bring awareness to a new generation of readers. Editor in Chief David Benaym states that “Keep It Real, is to encourage a sense of civic responsibility within ourselves and in the Movmnt audience. It is designed to help community organizations reach their goals, while at the same time it offers a unique opportunity for performers to use their fame and bring awareness to social issues and help raise funds for organizations with missions close to out hearts.” The first initiative associated with Keep It Real is to donate 100% of the proceeds from Movmnt’s subscriptions to Dancers Responding to Aids/Broadway Cares/Equity Fights Aids, which annually collects and holds events in the Dance, Broadway and Theatre communities. 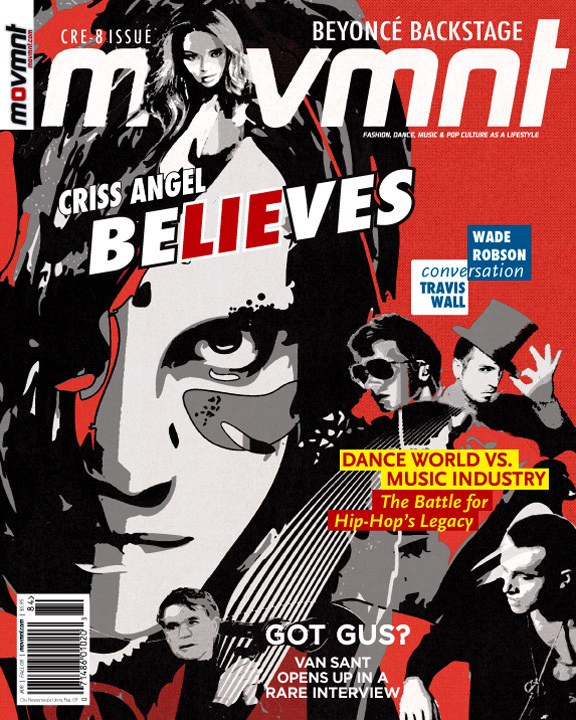 Movmnt has partnered with DRA – www.dradance.org – in the past as a media sponsor of the Fire Island Dance Festival among other events.